The taste of the Authentic Mexican Food in green presentation. 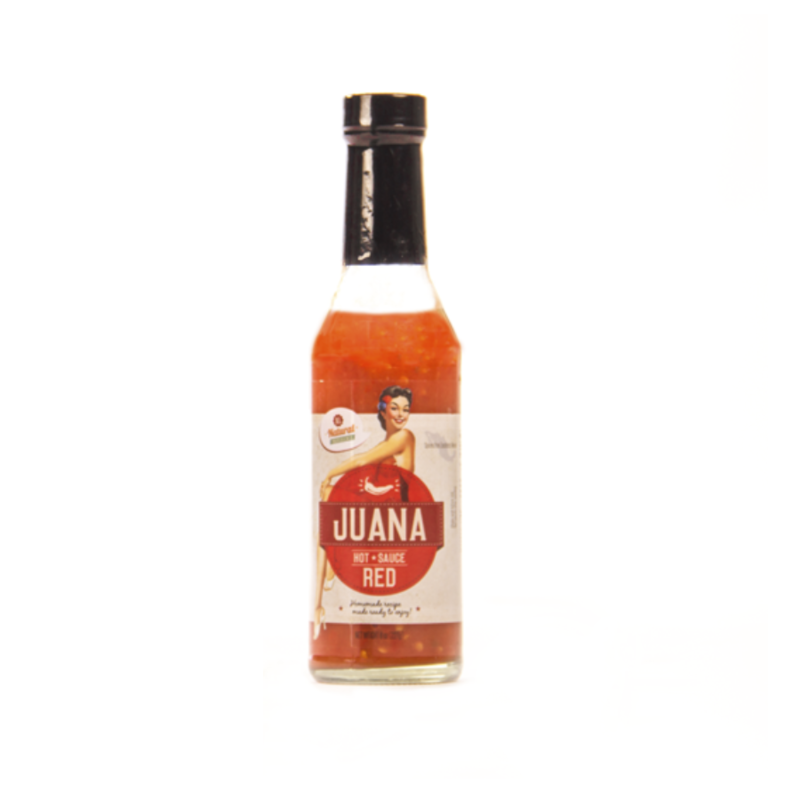 Juana Hot Sauce Green joined the R&R Taqueria in December, 2014 from Guadalajara, Jalisco, located in the western-pacific area of Mexico. She brings with her tomatillos, also called “tomate verde” or “green tomatoe”, which are grown throughout the Western Hemisphere of Guadalajara. Tomatillos are the key ingredients in Juana Hot Sauce Green. Sweet and mildly spicy, this hot sauce uses only the freshest all natural ingredients and can be applied to your favorite foods any time of the day. Spice up your day with the hot sauce that all R&R Taqueria restaurants use. Juana Hot Sauce Green. 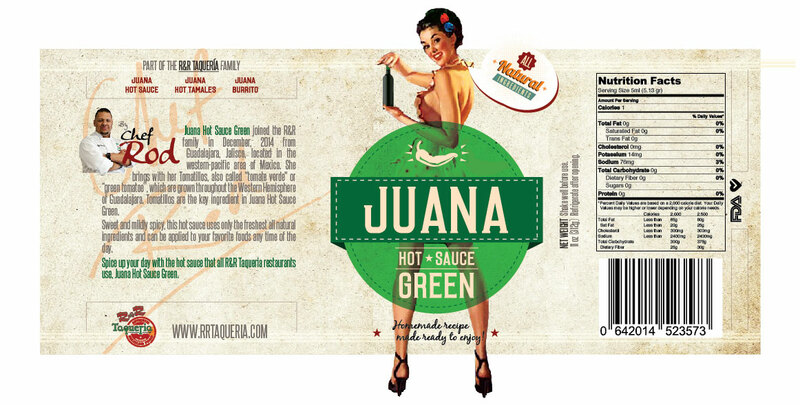 Juana Hot Sauce Green joined the R&R Taqueria in December, 2014 from Guadalajara, Jalisco, located in the western-pacific area of Mexico.